LendingHome is reimagining the mortgage process from the ground up by combining innovative technology with an experienced team. Our goal is to create a seamless, transparent process that transforms the mortgage process from end to end. LendingHome has been fortunate to attract some of the best entrepreneurial minds on the planet. 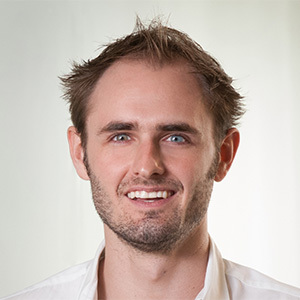 Matt started LendingHome in 2013 with the goal of building the best way to get a mortgage. Since then, he's worked hard to combine the best people and technology to completely reimagine the mortgage process from end-to-end. Matt is a serial entrepreneur who has founded 6 startups, including an e-commerce platform called HomeRun that was acquired for over $100M+ less than 18 months after launch. Matt was born and raised in Pittsburgh, PA, where he received a BS in CS and MBA from Carnegie Mellon after matriculating at age 13. While Matt still rents his place in San Francisco, he is excited that, when the time is right, he can now go through the entire home financing process online in a simple, fast, reliable way! Michael works to keep LendingHome’s financial and business operations in top working order, bringing nearly 20 years of executive experience to the table. At General Electric, Michael served in various leadership positions in finance, audit, and financial planning roles, spanning various industrial manufacturing and financial services businesses. Prior to LendingHome he served as the CFO of publicly traded mortgage servicer Ocwen Financial Corporation, an organization of 10,000+ employees when he was there. While professionally he knows mortgages like the back of his hand, he has had his fair share of up and downs through his personal journey of financing 7 different homes, and understands from every angle that this is an industry that is ripe for disruption. Lori leads the Employee Success teams including Talent Acquisition, People Operations, Employee Experience and Facilities to ensure that LendingHome is an employer of choice and an environment where employees can thrive, build careers and do amazing work. She has 25+ years of experience as a People Leader and has developed, refined and led People functions at well known companies including Lucasfilm Ltd, Electronic Arts and Pixar. After waiting over six months to move into her first home due to mortgage processing issues, she has an appreciation for LendingHome’s mission and works to see that the company’s values and purpose carry throughout the company and on to the customers. Claudia works to ensure that Business Administration and HR Operations run smoothly and efficiently at LendingHome, while also making sure that our employees have a great place to work. She has 10 years of operations and administrative experience. 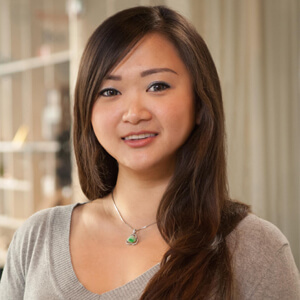 Previously, she was Assistant to Vice Chairman of Investment Banking at JPMorgan, and Analyst at Demeter Group. Claudia’s first job after college was a Loan Processor at a mortgage bank. No stranger to the cumbersome traditional mortgage process, she is thrilled to see that LendingHome is utilizing technology to streamline and enhance the experience of homeowners' lending process. Marc works to ensure that all functions--from Underwriting to Servicing--operate smoothly and effectively so that our customers have a seamless mortgage experience. He brings 30 years of mortgage experience to his role as SVP of Mortgage Operations. He spent most of his career at First Franklin, one of the country’s largest mortgage lenders, as COO, President, and eventually CEO. A true entrepreneur, Marc has since built mortgage companies from the ground up, including a tech-enabled mortgage platform designed to increase reliability and decrease cost of the production process. When he bought his first home, Marc was already a licensed loan officer, but his real estate agent still had to convince him that borrowing a down payment from his grandmother was worth it in order to own. He believes LendingHome will be a powerful resource to answer questions like this for first-time homebuyers. Jason is responsible for engineering, data, devops, and quality engineering at LendingHome. 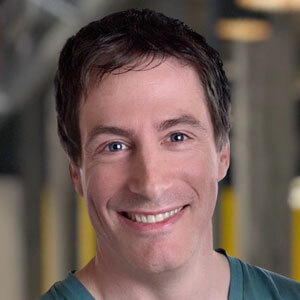 Most recently, Jason was the VP of Engineering at Smyte (acquired by Twitter in 2018). Before that, Jason led the engineering team at Remind, scaling the team from 6 to over 40 engineers while the user base grew to more than 20M monthly active users. Previously, he led the Core Web Services infrastructure team at Skype. He has worked as a co-founder at numerous startups and was one of the founders of the reSIProcate open source SIP stack. Jason has been through the mortgage and refinancing process a few times and knows the pain of the way things are done today. He is super excited to be helping to revolutionize the mortgage business. Michael leads the Customer Experience organization at LendingHome and is responsible for the growth and development of the team, as well as making sure that customers get the end to end loan experience that they deserve. Michael Brings over 10 years of Sales and Service Management experience to the table. Prior to joining LendingHome, Michael was the Chief Customer Officer of BrightBytes where he oversaw all customer operations, implementations, service delivery, and inside sales. 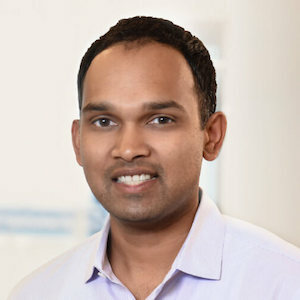 He also previously led the Customer Success organization for ClearSlide and scaled the Sales and Service Teams for the Web Division at Intuit, and Homestead. Michael believes that mortgage has traditionally been 30 days of stress for what really amounts to a few hours of work and wants to remove the guesswork and agony from the process for our customers. Arvind heads the Capital Markets team at LendingHome and interfaces with our loan capital partners. He helps secure funding for our loans, enabling LendingHome to recycle capital at cost effective rates back to our borrowers. He has over 12 years of experience in mortgage credit and investment banking. Prior to joining LendingHome, Arvind was a Director in the fixed income division at Barclays. He holds a BS and MS in Computer Engineering from Carnegie Mellon University. Arvind recently purchased his first investment property (a small fixer-upper) and learned first-hand the difficulties faced by borrowers. At LendingHome, he is excited to combine his background and experience to help scale our mortgage platform to serve the needs of home buyers. David leads the marketing team at LendingHome and is responsible for driving high level demand to help the business scale, while also making sure the company is evolving into a top brand in the consumer finance space. 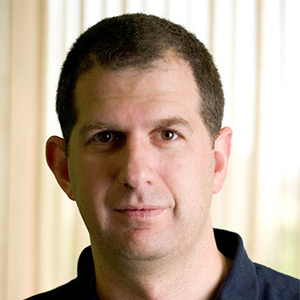 Prior to LendingHome, David has worked to scale small startups into known brands. 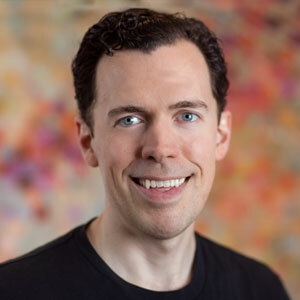 Most recently, he was an early employee at Zenefits, watching the company scale 8x in size during his tenure, and has been a member of several teams that have led to successful exits, such as Kabam (Netmarble), StubHub (eBay), and TheFind (Facebook). David grew up in a real estate family and has been spurned by the mortgage process several times himself, experiencing firsthand the pains that consumers have to go through during the most critical purchase of their life. At LendingHome, he is looking forward to making sure that everyone has access to the tools and knowledge to go through the home buying process with ease and confidence. Our advisors help us make LendingHome better by providing their deep expertise on areas from Risk to Capital Markets. 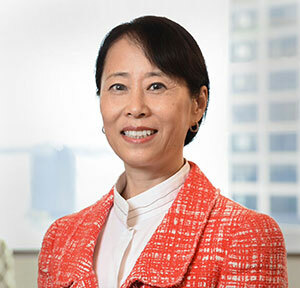 Chaomei joined LendingHome in early 2016 as Interim CRO and continues her mentorship as the company's Chief Risk Advisor to help build a best in class culture of corporate risk management. She served as LendingClub’s Chief Risk Officer from 2011 to 2015, leading their risk management function. She has also held roles as the Chief Credit Officer at Providian Financial Services and Fleet Credit Card Services. Chaomei has managed more than 2,500 staff and a risk portfolio valued at more than $20 billion. She brings over twenty years of experience in risk management and risk operations to her role as LendingHome’s Corporate Risk Advisor. Scott fueled LendingHome's early growth with the platform's initial equity and debt investments and has been hugely instrumental as a Capital Markets Advisor ever since. Most recently, he was the Founder and President of SAB Capital Management, LP. Prior to SAB, he worked as a Portfolio Manager at Siegler, Collery & Co., and in the early days of his career he was an Associate at McKinsey & Company, and an Analyst at Goldman Sachs. 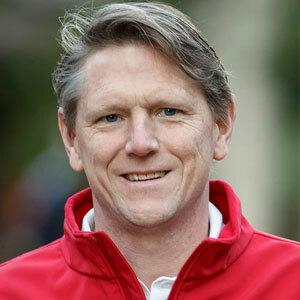 Scott is the Director of Robin Hood Foundation and Arden Holdings Limited. Bill has been a Founding Advisor to LendingHome since day zero when a series of conversations about alternative mortgage with Matt and James sparked the company's creation. Before joining First Round Capital in 2012, Bill led LiveOps to $100 million in sales and hundreds of employees as the industry’s leading cloud contact center. He also founded Jump Networks, a leading web calendar and personal organizer acquired by Microsoft. Bill has made investments in category killing companies including Uber, IronPort (acquired by Cisco), Adroll, PowerSet (acquired by Microsoft), Lending Club, HomeRun (acquired by Rearden Commerce), Tapulous (acquired by Disney), Slide (acquired by Google), and Chegg. 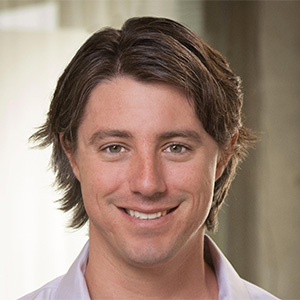 At First Round, he has led investments in companies including Looker, Flexport, LendingHome, Bright and buddy build. Our directors continue to help us push the envelope and think big. LendingHome is James’ third real estate start-up. He founded a residential real estate private equity fund and Colony American Homes. James was previously a VP at Colony Capital and VP in Investment Banking at Morgan Stanley. He holds a BA in Economics and an MBA from Stanford University. Charles led the Series-A round of financing that launched LendingHome and has leveraged his deep expertise in marketplace lending to help the company every step of the way. He joined Foundation Capital in 2005 and, prior to that, he was part of two teams that successfully built companies from early start-ups through greater than $100 million in sales and exits near or above $1 billion. Charles has made fourteen successful investments since joining Foundation, of which two, LendingClub and On Deck Capital, have IPOs. They also include PowerSet (acquired by Microsoft); Xoopit (acquired by Yahoo! ); Adwhirl (acquired by Google); Weblistic (acquired by Spot Runner). Charles works closely with his current portfolio, which includes AdRoll, auxmoney, BTCJam, DogVacay, Finxera, LendingHome, Motif Investing, and Refresh. 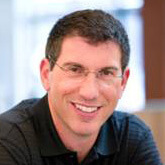 Meyer “Micky” Malka led the Series-B round of financing that took LendingHome to the next level. As a critical member of the board he enhances the company's focus on culture, customer, infrastructure, and brand to ensure LendingHome is really building something special. He is the founder of Ribbit Capital and has been an investor and serial entrepreneur for two decades, starting the Heptagon Group at the age of 19. Micky intends to use Ribbit as an agent for change in the ossified and slow-to-change financial services category. The combination of Micky’s deep understanding of the financial services sector, the technologies that drive it, and the access to capital that Ribbit offers are providing global entrepreneurs with the access and know-how required to create the transformative businesses of the future. Joe led the Series-C round of financing that propelled LendingHome forward as one of the leading online lenders in the world and shapes the company's strategy around growth and scale. He is the founder of Renren and has also served as the Chairman of the Renren Board of Directors and Chief Executive Officer of the company since inception. 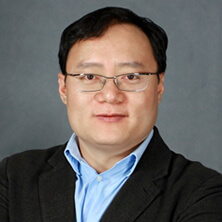 Prior to founding Renren, Joe was the Co-Founder, Chairman, and Chief Executive Officer of ChinaRen.com, a first-generation SNS in China and one of China’s most visited websites in 1999. He served as Senior Vice President of Sohu.com after ChinaRen.com was acquired by Sohu in 2000. Mr. Chen holds a BA in Physics from the University of Delaware, a Master’s degree in engineering from the Massachusetts Institute of Technology, and an MBA from Stanford University. Lev joined the LendingHome Board in early 2017 to further bolster the company's financial, operational, and strategic excellence. The scale and scope of his past roles and accomplishments make him a unique asset and mentor to the company's entire leadership team. Currently Lev serves as the COO of Sberbank, the largest and most transformed financial group in Central and Eastern Europe. 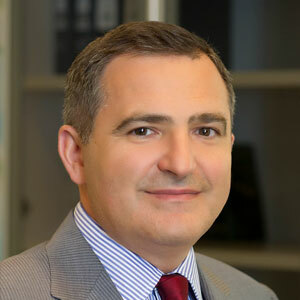 Prior to Sberbank, Lev was the CLO and later the CEO of New Formats of Walmart stores in the US, and also served as Vice Chairman of the board of Jet.com in the US where he was instrumental in their acquisition by Walmart. His experience spans products, customer service, operations, digital technology, and strategy. We’ve combined an all-star team with groundbreaking technology to reimagine the world’s largest debt market. Come help us revolutionize the world of mortgages.